The Russian-sponsored Palestinian unity talks in Moscow Feb. 11 were neither a success nor failure. Uniting Palestinian factions was not the main objective of the Moscow conference in the first place. If one is to also consider the various unity agreements signed between Fatah and Hamas in the past -- but never honored -- and bearing in mind the additional punitive measures slapped by the Palestinian Authority against Gaza recently, a unity deal in Russia would be nothing less than a miracle. Around the same time that Palestinians met in Moscow under the auspices of the Russian Foreign Minister, Sergey Lavrov, the United States was holding its own conference in Warsaw, Poland. The Warsaw meet was the United States’ attempt at drawing a new political paradigm to replace the defunct "peace process,"which itself was an American political invention. While the "peace process," thanks to the United States' blind support of Israel, has failed terribly, Warsaw, too, is unlikely to deliver any meaningful or long-term political vision in the Middle East. The conference was the equivalent of a public American declaration that only Israel matters and that Washington’s commitment to Tel Aviv is paramount to all else. Even the Authority of Mahmoud Abbas, known for its political subservience to Washington, was repulsed by the United States' new, brazen political approach. Time and again, the Trump Administration has made it clear to its former Palestinian ally that Palestinian political aspirations are no longer a subject worthy of even mere consideration by the United States. The relocating of the American embassy from Tel Aviv to Washington in May last year was one of many such signs. Abbas, who is now increasing pressure on his Hamas rivals in Gaza, and is plotting against his own Fatah rivals in the West Bank, agreed to allow Fatah participation in the Moscow conference because he, too, has a message for the United States, the gist of which is “we too have a new strategy and political alternatives." 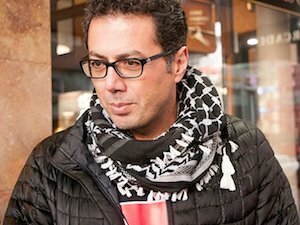 Knowing in advance that Trump’s so-called “deal of the century" is likely to be consistent with the new, more aggressive U.S. foreign policy approach to the Middle East, Fatah is keen to preclude the announcement of the "deal" by seeking different routes that do not necessarily go through Washington. For Russia, a unified Palestinian call to defeat the latest U.S. political stratagem in the region is consistent with Moscow’s ongoing efforts to undermine Washington's once uncontested role in the Middle East. Russia, too, had its own messages to send. Aside from a message to the US-led Warsaw conference that Russia is ready to fill the gap left open by the United States' departure from the "peace process," another Russian-hosted political summit in Sochi carried layers of direct and subtle meanings. The tripartite Sochi summit brought Russia, Turkey and Iran together to discuss the future of Syria following the U.S. withdrawal. Those in Washington who see Moscow as an adversary must have been particularly unpleased by the new developments. The U.S.-Russian rivalry is definitely at its highest point in many years. Hamas and other Palestinian factions, save Fatah, would have welcomed Russia’s re-engagement, regardless of any specific political contexts. Hamas has been under massive pressure and near-complete isolation in Gaza for many years and a political outlet of this nature is, for the Movement, a welcome development. The major change in the political equation, however, is that Fatah has been recently dropped from the United States' political sponsorship list and is desperately seeking new political and financial patrons. Mahmoud Abbas is likely to wait for further indications of the changing American position before completely abandoning his quest of an American sponsored "peace" with Israel. All three conferences -- Warsaw, Moscow and Sochi -- should be enough of an indication that the new political paradigm, which has been in the making for years, is unlikely to be reversed, at least not any time soon.